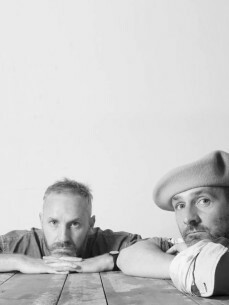 secretsundaze, London’s infamous Sunday daytime party has firmly established itself as one of Europe’s most distinct voices in underground electronic music. It has managed to stay both relevant and popular since it’s inception in 2002 largely down to it’s strong musical backbone and the vision of co-founders and resident DJs Giles Smith and James Priestley. The brand has widened to include a highly regarded record label as well as a sister artist booking agency, TSA Artists. As a label, secretsundaze recordings has quickly emerged as an essential outlet for high-end house and techno featuring music from the likes of Brawther, Amir Alexander, Youandewan, BLM, and Bleak as well as label owners James Priestley alongside Marco Antonio Spaventi and Giles Smith as part of Two Armadillos. Three compilation CDs mixed by the residents have also garnered huge praise from the media and fans alike.